And now for something completely different! Believe it or not, I'm a fairly early riser now that I have a 'real job.' Between the vagaries of my position and being a family guy, I'm forced into a regular work schedule and a regular sleep schedule. When I was in graduate school, however, I used to work long, long into the night, go home at 2:30 am and get into work mid-morning. It was an unhealthy lifestyle, but kind of weird and fun. I really enjoy eating ridiculous amounts of greasy food at 3 in the morning. That I don't get to do so any more is a minor tragedy. I used to really enjoy getting home, cooking up a full breakfast at 4 am, flipping on the TV and watching television on agribusiness and eating homemade hashbrowns. The “jet lag diet” is a dietary manipulation of carbohydrate and protein intake sometimes recommended for travelers crossing multiple time zones. Essentially, protein is ingested before times of activity and carbohydrates are ingested before the sleep phase. However, timing of meals, rather than content of the diet, has been proven of more assistance in entrainment to a new light–dark cycle. Low doses of caffeine (4 mg/kg, with 1 cup coffee =100 mg of caffeine) administered at 12:20 AM and 1:20 AM have been shown to effectively decrease sleep tendency on the night shift, enhance performance during the first 2 nights of a block of night shifts, and yet not disrupt daytime sleep. Excesses of caffeine, however, should be avoided. Who knew!?! I was eating the right way! * Readers, do you miss late nights in the lab? What was your late night snack of choice? *I'm mostly kidding. I recognize that's a wild misreading of the article. Grad students, you should try to get 8-12 hours of sleep a night. Yeah, I know -- but you should try. Good morning! Between March 27 and March 28, 27 positions have been posted on the ACS Careers website. Of these, 4 (15%) are academically connected and 14 (52%) are from Kelly Scientific Resources. Farmington, NM: Have a B.S./M.S. in chemistry and want to live in the Southwest? Envirotech would like to hire you to perform soil sample analysis; GC, GC/MS, ICP experience desired. $25-30/hr. Iselin, NJ: BASF is hiring an experienced Ph.D. chemist for a research manager-type position; you're expected to have more than 10 patents. Makes reference to FCC -- fluid catalytic cracking? The Rocket City: A generics company in Huntsville, Alabama would like to hire a B.S. chemist with experience in pharmaceutical analytical chemistry; looks to be QC/QA/method development oriented. The Sunflake City: USDA would like to hire an analytical chemistry postdoctoral fellow for its Grand Forks, North Dakota research center. Looks to be LC/MS oriented. Looks like you would be making 23k more than the median household. Hmmm: I distrust nutraceutical companies, but Herbalife is hiring 2 scientists (at least one analytical chemist) for its Los Angeles site. A broader look: Monster, Careerbuilder, Indeed and USAjobs.gov show (respectively) 282, 1,500 (! ), 2995 and 34 positions for the search term "chemist." Good morning! Apologies for the late posts -- work has cramped my posting style a little. Between March 22 and March 26, there have been 94 new positions posted on the ACS Careers website. Of these, 16 (17%) are academically connected and 47 (50%) are from Kelly Scientific Resources. Unknown, unknown Eugene, Oregon: Life Technologies wishes to hire a B.S./M.S./Ph.D. analytical chemist for organic and inorganic materials testing. Where is this position? I dunno. Camden, South Carolina: INVISTA is searching for a Ph.D. polymer chemist ("Surface Chemistry, Physical Organic Chemistry, Materials or Polymer Chemistry, Polymer Science or Polymer Physics", actually) for its Stainmaster division. They also have another position (? ), with somewhat similar qualifications. For this position, they want 3 years of experience, knowledge of surface chemistry, emulsions and polyamide and polyester chemistry. Shreveport, LA: Dr. Reddy's wishes to hire a B.S. chemist with 5-10 years of experience in pharmaceutical manufacturing to be a manufacturing coordinator. Sounds like fun. When I worked at kilo scale, it was still pretty easy to lift the overhead off the flask and manually clean the reactor. (Note: when you have a narrow opening and you've dropped something in the bottom of your 72 L flask, find the coworker with the narrowest bicep.) When you get to much larger scale though, cleaning gets a little more mechanized. Enter the sprayball, which can be designed to spray solvent in all directions. These are pretty fun little gadgets (see the video above). I don't know what I was expecting, but I'm glad the chemical engineers thought of this. There go my designs for a 100 liter acetone squeeze bottle with a 2 inch nozzle. For comparison's sake, here's all the ones that I've collected since '09. None of the numbers are pretty. 85 positions is the lowest number of positions since I've been collecting data (since spring '09, with the exception of fall 2009.) It's also the lowest absolute number of employers, just edging out 31 employers at the Spring 2009 conference in Salt Lake City. Best wishes (and my sincerest prayers) for the job seekers out there. Cambridge, MA: It's always funny to see when regal institutions have their own language. Harvard is searching for 2 "preceptors" in chemistry that are "non-ladder teaching position[s]". In other words, Harvard is looking for 2 non-tenure-track lecturers, one a 1-year appointment, the other a 3 year appointment. Israel: The Israel Fulbright program is looking for postdocs -- enjoy! Small college of the week: Johnson C. Smith University (Charlotte, NC, student population: 1,500 -- SA-LUTE!) is looking for an assistant professor of organic chemistry. New York City, NY: Rockefeller University is searching for professors of chemical biology of all ranks, among others. Sewanee, TN: The University of the South desires a one-semester visiting assistant professor of organic chemistry. Honolulu, HI: Hawaii Pacific University wishes to hire an assistant professor of chemistry with instrumental experience and experience with biological assays. Aloha! "What is the unemployment rate for all ACS members and what should future ACS presidents do about this issue?" I was surprised and pleased to see that the question was put to President Shakhashiri ("from Chemjobber", no less), who actually answered the question. He said that chemist unemployment was at a 40-year high; I was pleased to hear that he was up-to-date on the issue. He was concerned about professors' ability to keep the implied promise that achieving a graduate degree would help students find a job. He lamented the loss of major research institutions like Bell Labs and the like. He stated that the ACS Strategic Plan was directed towards this issue and that ACS cares a great deal about chemical scientists and their employment opportunities. For the most part, I dislike it when people ask these questions of politicians (e.g. "What is the price of a gallon of milk?") At the same time, the unemployment rate of members (especially at a 40-year high) is a reality that deserves to be the number 1 issue for ACS presidents for the foreseeable future. Here's hoping that it's not the last time this question is asked. 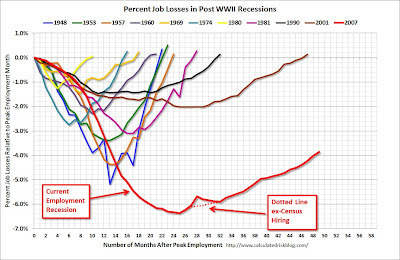 Last week's article by Rudy Baum entitled "Unemployment Data Worst In 40 Years" has been renamed for the print edition as "Chemists for Hire". "Why Did I Get This Degree?" "Practice Saying 'Was that a Half-Caff or a Triple-Shot Mocha?'" "Unemployment Data Worst In 40 Years"
From this week's Chemical and Engineering News, Bill Carroll Jr. points to the American Chemical Society's Strategic Plan for 2012 and beyond. Goal 1 is to "Provide information: Be the most authoritative, comprehensive, and indispensable provider of chemistry-related information." Goal 2 is to "Advance member careers: Empower an inclusive community of members with networks, opportunities, resources, and skills to thrive in the global economy." 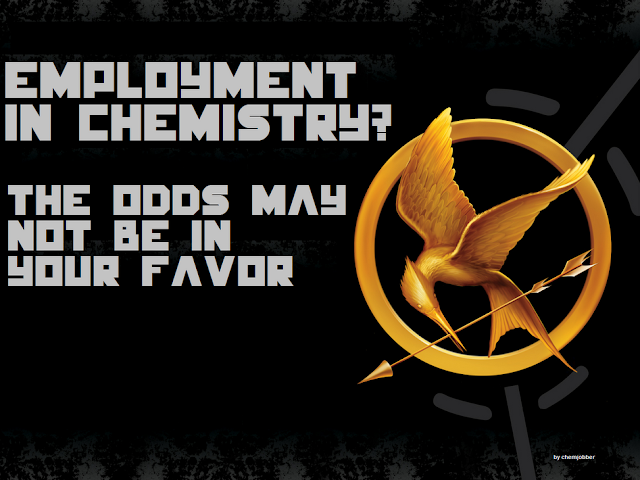 Many chemists, in the wake of regional and global economic crises, face challenges obtaining full employment. The Society's ability to help support job creation and career growth in the U.S. provides an opportunity to attract members. There is a need for increased awareness of the variety of career opportunities available to chemistry-educated professionals. Scientific professionals are not always aware of the array of career-enhancing services provided by ACS. Interactions and collaborations between industry and academia are increasing; however, big gaps remain. "Ongoing activities" include the ACS Network, ACS meetings, the electronic issue of C&EN (? ), ACS Careers and their international membership activities. Recent activities include the free provision of SciFinder for unemployed members and the ACS Entrepreneurship Initiative. I'm less than impressed by this set of ongoing and recent activities. I'm even less impressed by the euphemistic term "challenges obtaining full employment" to describe record-high unemployment. What would I do to change matters? Hard to say -- an easy one to me would be to offer discounted or free ACS journal access to unemployed members for the duration of their unemployment. Readers? Turn your radio on at midnight and listen to the strains of the Mexican national anthem, on multiple radio stations. The Dumpling Inn on Convoy is amazing; bit of a hike, if you don't have a rental car. If you want to take a walk through a really confusing mall, Horton Square (downtown) will work. It's the same darn stores as everywhere else, just in a completely befuddling arrangement. There's a 99 Ranch in San Diego. If you've never experienced the smell of a Chinese grocery expanded to supermarket size, it might be worth the drive. The San Diego Trolley will go all the way down to the border (San Ysidro, which is on the US side.) You can see the monster Mexican flag in TJ. For those who've never had it, Hawaiian BBQ (aka plate lunch) is a revelation. L&L is passable, but the smaller joints are better. This is the best San Diego food blog (biased towards ethnic), in my humble opinion. The drive between TSRI and Encinitas Del Mar is really lovely, if you've never had the chance. The Torrey Pines Gliderport is beautiful and a really nice place to have a wrap for lunch, see people learning to paraglide and watch teeny tiny naked figures down on Black's Beach. Go visit the Xenobe Research Institute. So there is a small zoo there. Taxi from downtown not too expensive, as I recall. Readers, I'm probably a terrible tourist guide. What would you do, if you were in San Diego? Things to do in the downtown area (which I tended to not go to) would probably be nice. Because of stringent regulations, companies that makes pharmaceutical products, medical devices and related products are those most likely to employ people to monitor regulations in specific areas, prepare submissions to regulatory agencies, and guide a product or product line through premarket approval, manufacturing, labeling and on through to advertising and post-release surveillance. These regulatory affairs professionals are involved in the entire product cycle, from development to widespread commercial use. You need to check for hairline cracks before use otherwise the materials can leach through to the steel mantle. Happened to me once where the crack was right at the top near the stirrer joint. We only noticed it after we observed glass in the product. Somewhere I have a picture of the hole that the conc. HCl made! Since then I always insist on a conductivity check to make sure the glass is still intact. They are of a stirrer of a 1000L reactor. You can see the hole. The metal was so thin that you could move the bottom part of the stirrer with your hand. This was after 120 batch reactions of 800L 37% HCl at reflux. I reckon 1 more reaction and we were in trouble, as it was is cost a lot to replace the stirrer. Good heavens! For those at home, the purple material is the glass and the hole was made in the steel underneath the glass (I think.) This is what they normally look like, for comparison' sake. Thank you, Quintus, for the picture and the comments -- you are valued here. There it is, folks, the highest unemployment rate for ACS members since they started doing the survey in 1972. I should note that the ACS surveyers will ask you about your employment status for a particular period of time, which (in this case) is March 2011. The historical data comes from the C&EN summaries of the ACS Salary Survey data. 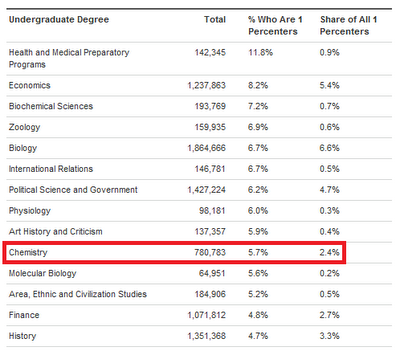 According to BLS, the unemployment rate for 2011 among “chemists and materials scientists” was 6.1%. “As the BLS rate is an average for the entire year, and the ACS 2011 number is based on employment status at one point in time, the BLS number may indicate that the ACS 2012 rate will exceed 4.6%,” says Elizabeth McGaha, manager of research and member insights in M&SA. McGaha also points out, however, that over the past 40 years ACS member unemployment has often peaked one year after the U.S. peak. The exception to this pattern was in the early 1990s, when the ACS rate continued to rise for four years after U.S. unemployment began to drop. It is my assumption that while the rise and fall in the unemployment rate of chemists is cyclical, the overall drop in US employment of chemists may indeed be structural. Therefore, I expect that the ACS unemployment rate will continue to rise for the foreseeable future, reflecting what we saw in the 1990s, but worse. Along with the rise in unemployment, ACS chemists reported a notable drop in postdoc positions—only 1.8% of ACS members held postdocs in 2011 compared with 4.0% in 2010. I'm really confused by this development. Are people dropping out of the chemistry pipeline, or is this just some weird artifact? Dunno. Chemists’ salaries, however, rebounded slightly in 2011 after falling from 2009 to 2010 and are keeping pace with inflation, McGaha says. For the first year since 2008, the median salaries of chemists were up for all degree levels in 2011. This is good news (? ), but I don't know what it means until we see some actual numbers. I'll keep you posted. Good morning! Between March 20 and March 21, there have been 38 new positions posted on the ACS Careers website. Of these, 4 (11%) are academically connected and 6 (16%) are from Kelly Scientific Resources. Milwaukee, WI: An unnamed adhesives research firm wishes to hire an experienced B.S. chemist with 10 years+ in the industry. Silicone product development experience desired. Comin' in big: Amgen has posted 5 positions, including Ph.D. process positions (zero! to 5 years experience) in both Cambridge and Thousand Oaks. I'd love to hear the story behind these positions -- expanding or replacing? Sugar Land, TX (? ): Nalco is hiring 5 B.S. chemists for laboratory technician positions; entry level considered. Strategic thinker excited to work with the most senior leaders at companies producing some of the world’s best known brands; must be comfortable being in the room with and guiding top executives, delivering the results of our work and helping them understand implications and plan for success. Ability to shift from strategic thinking to analytical thinking, including test analyses, and teaching and training lab technicians. Burning desire for frequent travel over the long term, throughout the world. Innate entrepreneurial spirit and instinct. Excellent conversational and client relationship management skills. Excellent verbal, presentation and writing skills. Excellent teacher and instructor. Pleasant demeanor; selfless; team oriented. Frederick, MD: SAIC is searching for an experienced Ph.D. medicinal chemist (5+ years) to join the NCI/NExT cancer therapeutics team. Sounds like an interesting opportunity for someone. 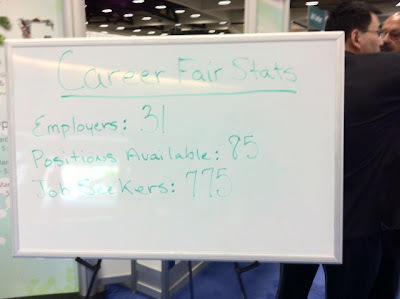 ACS Career Fair Watch: 49 positions for the ACS Career Fair, 213 for the Virtual Career Fair. As of March 1, 2011, 4.6% of American Chemical Society members were unemployed, the highest level recorded since ACS began tracking employment in 1972, according to the society’s Membership & Scientific Advancement Division (M&SA). What’s more, unemployment for ACS chemists in 2011 climbed from a 3.8% level in 2010, whereas overall unemployment in the U.S. fell from 9.7% in 2010 to 8.8% in 2011, according to the U.S. Bureau of Labor Statistics. In the 1950s, an American geologist correctly predicted that US oil production would peak in the early 1970s. Since that peak, oil production in the US has basically fallen. At some point in the past? near-future?, the world will hit peak oil production. After that time, oil production will basically fall. When Peak Oil hits, the price for oil will begin an ever-increasing rise with concomitant negative consequences. The end of the modern age, Richard Simmons becoming a global tyrant, etc., etc. One year of data can be a blip, but for Internet purposes two years is good enough to be a trend so I'm willing to say that with a 24 percent decline in the number of people taking the LSAT over the past two years that Peak Law School Applications arrived in 2010. What do you call 1000 lawyers, etc.? Sorry, bad '80s habit. I'd love to know when Peak Chemistry Grad Student or Peak Chemistry Ph.D. or Peak Chemistry Postdoc will be. Problem is, of course, NSF's data only goes to 2006 or so. I suspect that the local maxima (if not Peak Chemistry Grad Student) will be 2011, but I could be wrong. *First, please pardon the pun. Second, I am a Peak Oil agnostic -- I don't really know who to believe and content to remain more or less rationally ignorant. Glass-lined reactors are used in virtually all of the world's pharmaceutical manufacturing facilities. There are several key reasons for their selection by design engineers. In a pharmaceutical process, cleanability is critical. Between batches, each reactor and its associated process equipment must be thoroughly cleaned in order to assure product quality and minimize heat transfer resistance caused by product buildup. Fortunately, glass has a high degree of surface smoothness which makes it easy to clean using noncorrosive, low pressure cleaning systems. Glass is also chemically resistant and as a result, can serve for many years in environments that would quickly render most metal vessels unserviceable. 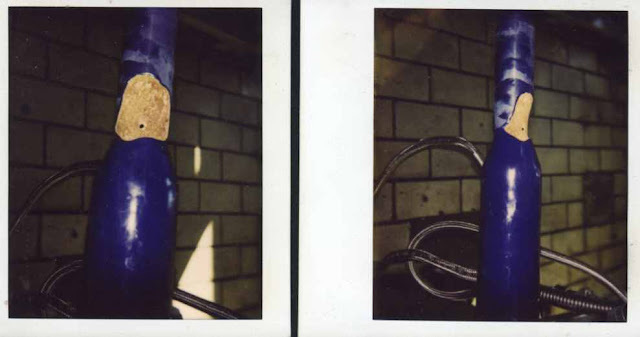 Aggressive reaction environments also tend to dissolve metals from unlined mild steel or alloy reactors. 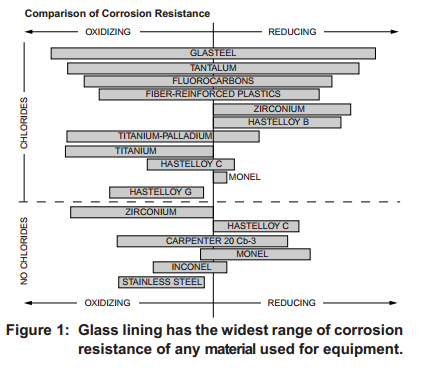 These metals can compromise product quality in an industry where purity is essential. By comparison, the glass-lining protects the base metal so effectively that the relatively benign heat transfer fluids used in the jacket space will generally attack the jacket and reactor exterior long before the reaction environment compromises the glass-lined interior of the vessel. As the article addresses, the glass/steel jacket around the reactor that does all of your heating and cooling needs to be maintained and cleaned. If you don't, you can get scale buildup from plant water (among other problems) which can limit the flow of the heating/cooling fluid. desperately needs an oxygen tank. First, Ms. MacCleery, 40, a lawyer and women’s health advocate, collected 70 products in a pile: things like makeup, shampoo, detergents and sink cleaners. Then she typed the names of the cosmetics into an online database called Skin Deep, created by the Environmental Working Group (ewg.org/skindeep), a research and advocacy organization. The results were not comforting. Ms. MacCleery’s $25 lipsticks contained a dizzying brew of chemicals, including ethylhexyl methoxycinnamate, a possible endocrine disruptor. “When I bought them, I thought I was doing something special for myself,” she said. “But then it turned out I was probably eating petrochemicals.” The lipsticks went into the trash bag. For some products, the site listed dozens of exotic chemicals and compounds. There were estrogenic hormones and neurotoxins and bioaccumulators. For other items, there was almost no information at all. What effects could these substances have on her baby? Ms. MacCleery didn’t know and didn’t intend to find out. BACK on the scale of home economics, Laura MacCleery discovered that it’s not cheap to buy a chemical-free bassinet. “We had it made with nontreated wood, by Amish people,” she said. “I think it was 400 bucks.” The organic mattress was hand-stitched. “And then the baby was born large,” Ms. MacCleery said. “She was like 8 pounds 10 ounces.” Maya outgrew the nontoxic bassinet in a month. First, let me note here that Josh Bloom has a typically sharp and funny response to the article. The reporter speaks to some academics in need of funding professors of medicine who talk about the issues surrounding industrial chemicals and public health. I think we're all in favor of some sort of TSCA reform; I'm guessing that the argument is about the particulars, implementation and where the costs will lie. I doubt Ms. MacCleery will volunteer to take some of those costs on and she would rather it came out of my paycheck -- 'twas ever thus. To be sure, I am a parent of small children who works in a chemical manufacturing environment. I'm pretty cautious about chemical hygiene and I really try to avoid taking compounds from the lab or the plant home with me. My work shoes stay at work, I wear a lab coat and I used to do my wash separate from the rest of the household to prevent cross-contamination (I used to manipulate much larger quantities of material than I do now.) Believe me, I am pretty concerned about their ability to metabolize and excrete xenobiotics. I don't believe that most parents run into the risks that I encounter on a daily basis. 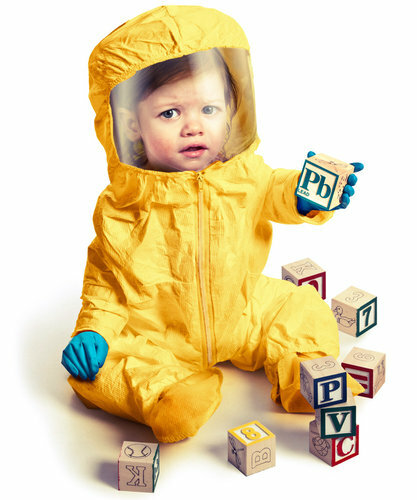 There are, of course, major chemical risks in the home. Lead paint, for example, can be a real problem and one that seriously affects infant brain development. When we lived in an older home, you better believe that I had our kids tested and I followed USEPA's guidelines for mopping down your house to prevent lead dust contamination religiously. But cosmetic chemicals? These things are small beer, comparatively. Ultimately, this is a problem of psychology. In the age of high-investment parenting, threats to our children can overrun any rational defense a parent might be able to construct. For whatever reason, chemical risk seems to appear much more threatening to some parents. I'm much more concerned about my kids falling down the stairs or drowning in a neighbor's swimming pool. Those are the rational fears -- I have irrational ones, too, but we won't talk about those. As a chemist, I find chemophobia pretty ridiculous. As a parent, I'm in sympathy -- we all fear unknown threats to our kids. I merely ask that parents step back from genuine fear-mongering that we get from Environmental Working Group and the like and try to gain a rational, risk-based perspective on chemicals in the home. Good morning! Between March 15 and March 19, 83 new positions have been posted on the ACS Careers website. Of these, 22 (27%) are academically connected and 27 (33%) are academically connected. Akron, OH: Goodyear wishes to hire an A.A./B.S. lab associate for a one-year contract position in polymer testing. If you can get some good experience, I think this would be a nice position for a young someone. Bartlesville, OK: Chevron seeks a Ph.D. research chemist (organic or polymer). 'PPS polymerization' expertise desired. Santa Barbara, CA: DuPont wishes to hire a B.S./M.S./Ph.D. research investigator for a printed OLED development team. Is Santa Barbara as nice as it seems? I visited there once, and it seemed like the nicest place in California I've ever been. Camden, SC: Invista desires a Ph.D. surface/polymer chemist for its South Carolina facility in its Performance Surfaces and Materials division. Glen Rock, PA: Adhesives Research, Inc. desires a M.S./Ph.D. polymer chemist for its electronics and industrial tapes division. With 12 positions: ...all around the country. Hexcel weighs in for the Virtual Career Fair with a boatload of management and engineering positions. Houston, TX: Want to be a McKinsey acolyte? They're seeking a chemical engineer or a chemist for a petrochemicals specialist. Desired: "An undergraduate degree in chemical engineering, chemistry, or material science; or an undergraduate degree in economics (with microeconomics focus)." That's not something you hear everyday. ACS Career Fair Watch: 40 positions for the San Diego Career Fair and 238 (mostly Kelly) for the Virtual Career Fair. We are currently recruiting for a Process Engineer (Chemical Engineer) at Agrium's Conda Phosphate Operations. Agrium Conda Phosphate Operations (CPO), located near Soda Springs, lies nestled among the beautiful mountains of southeastern Idaho and offers great hiking, camping, fishing, skiing, snowmobiling, hunting and golf. Agrium CPO employs approximately 290 employees. This position will report directly to the Engineering Manager. Specific responsibilities: process improvement, troubleshooting, development, and design, process safety improvements and management of change, pump, piping, heat transfer, and mass balance calculations, project management, scheduling, and cost estimating, contractor oversight and operations support. work well in a fast-paced “team” environment. Have excellent communication and reporting skills, possess problem solving, trouble-shooting, and diagnostic skills. Excellent computer skills with a knowledge of Microsoft Word and Excel, SAP experience is a plus, Knowledge in process safety management practices such as Process Hazard Analysis and Management of Change. petro-chem experience preferably fertilizer manufacturing, supervisory skills and experience, experience working in a plant environment. South Bracket, 2nd seed: Duke wants a Ph.D. for a 1-year undergraduate lecture position; "visiting professor of the practice" title does not make the job better, folks. West Bracket, 6th seed: Murray State wishes to hire an assistant professor of analytical chemistry. Pittsburg, KS: Pittsburg State desires two assistant professors of polymer chemistry. Moscow, ID: The University of Idaho is seeking a M.S./Ph.D. in chemistry for an analytical instrumentation manager. Experience with plant and soil science desired. New York City, NY: Bard High School Early College desires a chemistry faculty member; chemistry degree desired, Ph.D. preferred. Claremont, CA: Pomona College seeks a M.S./Ph.D. biochemist for a biochemistry lab coordinator position. New York, NY: Columbia University desires a B.S. chemist for a position as an undergraduate lab coordinator position; "associate in discipline" is an interesting title. St. Peter, MN: Gustavus Adolphus College wants 2 temporary faculty in organic chemistry. Audience member: I'm curious about the panel's opinion on advancing all STEM education versus picking winners in a sense. That is, STEM, we lump it all together. But it's very broad, engineering is very different than chemistry and math and whatever. My impression is that the need in those different industries at the present moment probably differ quite a bit in terms of workforce, and so I'd like to know whether they feel that advancing all STEM education is a fundamentally important goal or we should be targeting certain areas. Flatow: That's a good question. Lindsay, you found in your report that there were some areas that were open to having more graduates in it, like the biological sciences, that there were shortages in some areas. Dr. Lowell: Well, petroleum engineering is one area where wages are rising and more students are going into it. And that to me is part of the prior question as well. No, I don't think it would be a good idea to target particular disciplines unless it was very clear it was needed, say, nursing in the United States. But the uh, the market really sends signals. We know the cyclical flow of students through the engineering pipeline follows wages. You can talk about upping supply, but it's not really going to get you what you want unless you stimulate demand, and that's what the gentleman next to me has a lot of major ideas as well. My major message to you is that it's a demand-driven system, it's what we've got. So the best way to have people get into the disciplines that are needed is to have the wage lead the way. Being the left-leaning, environmentally minded ex-chemist that I am, I generally agree with Baum’s editorials. However, as a California prosecutor I was surprised to read his take on the punishment that UCLA chemistry professor Patrick Harran should receive for his part in the death of Sheharbano Sangji. A young woman, who received no safety training and wasn’t even wearing a lab coat, died while working unsupervised with a pyrophoric liquid, and Harran should face only community service because safety lapses in academic labs are “all-too-common”? Imagine if we applied that logic to DUIs and other “all-too-common” offenses that result in injury and death. This letter expresses my opinion only and not that of my employer. There's nothing quite like an attorney for putting a spin on a case. Wow. That's not really good news for anyone, either scientists or patients. I hope this is rock bottom, to borrow a phrase. Vanderbilt’s Marnett [CJ's note: director of their Institute of Chemical Biology] , in contrast, thinks that job prospects for chemical biologists are about the same as those for other chemists. But he believes several faculty positions will open up over the next 20 years as the stock market improves and professors who are currently in their 50s to 70s retire. Genentech hired quite a few biofocused chemists in recent years because of good growth in its small-molecule division, Tang says. Unfortunately that means the company has fewer openings available this year. No matter where they apply for work, Tang recommends that job candidates invest some time in polishing their curricula vitae. “Make sure it’s clean, it’s precise, it’s concise,” she says. Rather than cramming every activity into the document, it’s best to highlight the most significant information. For instance, full journal articles should be listed separately from presentations at conferences, which carry less weight. [snip] Job seekers should also take advantage of social media including LinkedIn and Facebook, Tang says. Genentech posts frequent updates on its Facebook page. Both Genentech and Novartis utilize LinkedIn pages, and their recruiters also comb these sites for profiles of potential candidates. Recruiters at both companies have profiles on LinkedIn, and scientists are welcome to reach out to the recruiters for advice and networking, even if they aren’t currently on the job market. I confess that I don't follow the Genentech Facebook page -- can anyone tell me if there are job openings posted on the page? ...To give you an example, one website said that, besides many other qualities, some of which I have already mentioned, a chemist must be humble. Why should a chemist - as opposed to a physicist or a biologist, or an artist, a lawyer or a politician for that matter - be humble?... The most satisfactory answer for me in terms of that exclusive attribute is around the reproducibility of results. A good chemist should be good at replicating other people's results and equally their results should be easily replicated by anyone else. But can I challenge you to define in 140 characters (it's the digital age after all) what, in your opinion, makes a good chemist? Tweet us @ChemistryWorld or email chemistryworld. Between Ms. Seijo and SeeArrOh, there are at least two votes against chemists being humble. There's an aspect of #humblebrag about this, but I really believe in humility. When chemists read the literature (especially the very old literature! ), there is always a sense of where the field has been -- and that we are all (cliche alert!) standing on the shoulders of giants. Humility can keep a chemist grounded in the fundamentals of their field and it can give direction by showing what's yet to be known. I'll nominate another trait that chemists should be really good at: truthfulness. When I speak, it's my sincere hope that I can understandably convey the truth about chemicals and chemistry. Readers, what do you think makes a good chemist? I think this is an interesting chart because it shows the different ways that income data can be somewhat obscuring. ** First of all, this is the 1% of households, which quite often means that there are 2 income earners. The overall income level is somewhere in the range of $300,000, which is a lot of money by any standard. But it could come from two people making $150,000 or 1 person making $300,000. Second, these are college majors, which have a relatively poor correlation with the actual occupation of the income earner. Both medicine and business are relatively famous for taking people from all undergraduate majors -- just as long as they excel in the specific knowledge sets that are needed. Of these 14 majors, I basically see 3 groupings: physicians, attorneys and businesspeople. If someone were to tell you that those were the constituents of elite income earners, no one would be surprised. There are a lot of physicians who have an undergraduate degree in chemistry. There are relatively few bench-level chemists in those households. There are a lot of salespeople, sales managers, senior managers, pharmaceutical patent lawyers and business owners in those households. For example, this New York Times news graphic (thanks, James!) shows that there are 2,554 individuals who are managers of industrial chemicals companies living in the top 1%. Also, there are 2,824 individuals who are sales managers of "drugs, chemicals and allied products". Why do I care? I don't, really. But I'm bothered by potential misconceptions of chemists and chemistry majors, especially brought on by fancy-looking infographics. * Has anyone noticed these infographics and how they've been proliferating? Does anyone ever notice that they're usually linked to the charlatans promoting online colleges fine businesspeople promoting alternative schooling? ** Does anyone believe that actual zoologists are making lots and lots of money? Are they stupid or something? One said that layoffs were announced as early as six months prior to corporate action, leaving employees wondering if they would have a job next season... Another worker alluded to overemphasis of negative traits during performance reviews, such that if you were laid off in the future, the document might seem to presage your departure. Of course the best way, they said, to adapt to how big you have become is not to adapt to it at all. The best way is to become smaller. And we are busy figuring out where we are too big. We will let you know in about 3 months where cuts will be made. It's very hard to focus on your work for three months while the sword of Damocles dangles above you by an increasingly weaker looking thread. Three months came and went. So did four and five. Around the six month mark, the rented circus tents were erected, site meetings were called, and announcements were made, but only the most vague. The real information trickled down the hierarchy over several days or more. Slowly, we learned who was being "ATSed". The uncertainty over all that time had eroded the morale of many, including myself. Just so that we're on the record, I was a postdoctoral pseudo-employee of a site of the Blue Pill Factory. But I started there after ATS had its biggest waves; it always bothered me how I worked in a building that seemed weirdly empty and full of abandoned offices. What bothered me the most is how leaky and rumor-driven the one layoff I experienced was: the rumor started in August and was said to hit in September October November. It finally came in January. I don't really think there's a good way to do a layoff in a huge organization, but no one wants to see the train creeping slowly down the track. Shakespeare was right: "If it were done when 'tis done, then 'twere well /It were done quickly". Good morning! Between March 13 and March 14, 77 new positions have been posted on the ACS Careers website. Of these, 4 (5%) are academically related and 59 (77%) are from Kelly Scientific Resources. Rochester, NY: LeClairRyan is a law firm; they're looking for Ph.D. organic chemists to be technical specialists on their patent prosecution team. Sounds lucrative? Abbott Park, IL: Abbott is hiring two "lab on a chip" specialists -- a senior scientist and a principal scientist position. Carlsbad, CA: Air Products is searching for a Ph.D. organosilicon synthetic specialist; 5-10 years experience desired. Pays not too bad, looks like. Southhampton, UK: And for our friends across the pond. Merck Chemicals is searching for a postdoc to work on "design, synthesis and characterization of higher stability donor polymers for bulk heterojunction solar cells." Organic materials chemistry experience desired. Pays 80-85k. That's pretty good pay for a postdoc, I'd think. The formation of oil droplets may be verified by light microscopy examination. Oils are difficulty to displace from a filter cake by washing. Oils tend to foul filters, slowing filtration rates, and they occlude impurities in the isolated product. Conditions that produce oiling and precipitations should be avoided. Seed crystals are added to solutions of compounds adjusted to the metastable conditions in order to prompt good crystal growth. 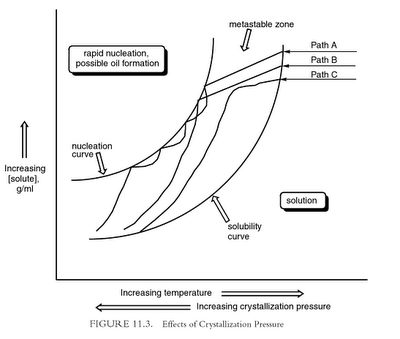 Anderson seems to support using seed crystals to encourage crystallizations to take path C. He later mentions using hold times (e.g. 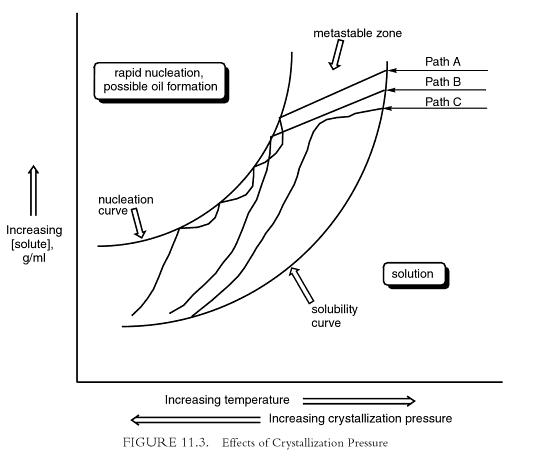 hold temperature of crystallization at 70°C for 1 hour) to encourage crystal growth. Who cares if this is your public/private image? They do. I keep a pretty tight lid on my 'personal' social media use. My Facebook page is pretty private and you can't look around in my photos (I think.) I don't accept random friend requests, etc. For the most part, I don't go looking around in other people's info, or photos or Timeline (ugh!) While a LinkedIn profile or a Google search seems to be fair game, it does always seem that Facebook snooping is a fairly common tactic for employers. You have to ask yourself -- why? It's the information asymmetry, I think. You'll always know more about yourself and your history as a entrepreneurial Louis Vuitton replica dealer past than they will. They (the employer) desperately want to know what you're incentivized to hide from them. Making the wrong hiring decision can seriously hurt a company -- they're thinking about themselves and not your privacy. That said, I still think it's certainly unsavory and somehow wrong. But that doesn't mean that employers won't use these tools, and that they won't take advantage of open-access social media if you let them. 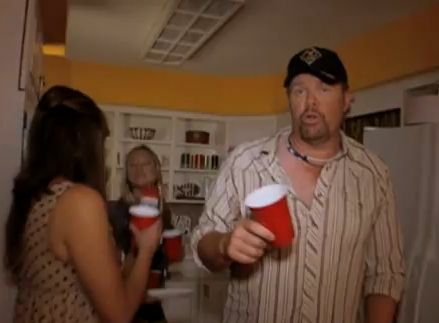 So maybe it's a good idea to delete that picture of that wild night in Cabo your spring break. Good morning! Between March 8 and March 12, 83 new positions were posted on the ACS Careers website. Of these, 20 (24%) were academically connected and 37 (46%) were from Kelly Scientific Resources. Spartanburg, SC: Milliken and Company is looking for a Ph.D. R&D chemist; Ph.D. in organic/polymer chemistry preferred, industrial experienced desired, but not necessary. Philadelphia, PA: Avid Radiopharmaceuticals is searching for an experienced B.S./M.S. chemist for a synthetic position. Bend, OR: Bend Research is a drug delivery / formulations company located in the high desert in central Oregon -- they're looking for, well, lots of people. They've posted 7 positions in chemistry and chemical engineering. Sugar Land, Texas: Nalco is hiring once again; M.S./Ph.D. desired for this position in Downstream Fuel Additives. Do you get cheap gas? Sacramento, CA: Ampac Fine Chemicals desires a M.S./Ph.D. separations specialist with preferred experience in simulated moving bed technology. Madison, GA: Seachem Laboratories is a company that makes aquarium additives; they're looking for a Ph.D. chemist to be their R&D director. They'd like for you to someone for which "the aquatic hobby is a passion." New York, NY: New York University desires an administrator and teacher for their organic chemistry laboratories. I'd like to think this is a nice position, but I dunno. Wheeling, WV: Wheeling Jesuit University is looking for two professors of chemistry: an assistant professor of inorganic chemistry and an assistant professor of physical chemistry. ABD ok for these positions. Hazleton, PA: Penn State University - Hazleton is looking for an assistant professor of chemistry; they would like you to be able to teach organic occasionally as well. Jacksonville, IL: Illinois College is looking for a temporary 1-semester professor of general chemistry. That's an awfully short tenure. Salem, OR: Willamette University is looking for a temporary assistant professor of organic chemistry. Wikipedia tells me that they are the Bearcats -- what in the heck is a Bearcat? LEONHARDT'S TAKE: (Washington bureau chief of the New York Times) The gap means job growth is likely to slow. "If you looked only at the monthly jobs report, you could start getting pretty optimistic about the American economy. The largest, broadest survey of employment — a survey of businesses — shows the best job growth in more than five years over the last 12 months, with the pace mostly accelerating in recent months. The other survey that the Labor Department does — of households — shows even faster job growth, suggesting that the business survey may be understating the economy’s strength. But the jobs report isn’t the only measure of economic activity, and another major measure — of gross domestic product — doesn’t look quite so cheerful. The most likely situation is that job growth will slow in coming months, economists say, which will make President Obama’s economic narrative a bit more complicated than it now is...Based solely on the gross domestic product numbers, the obvious conclusion is that job growth will slow in coming months." SUROWIECKI DISAGREES: (economics writer for The New Yorker.) The recovery is here to stay. "The story of America’s recovery from the recession has been one of dashed hopes. In early 2010, and again early last year, the economy looked as if it might be starting to grow under its own power, only to slow markedly in the months that followed. So what should we make of the current signs of rebound? The employment report for February, which came out last week, was solid, meaning that businesses have created more than two hundred thousand jobs a month for three months in a row. Economic data show that the economy, and real incomes, grew at a fine clip at the end of 2011. 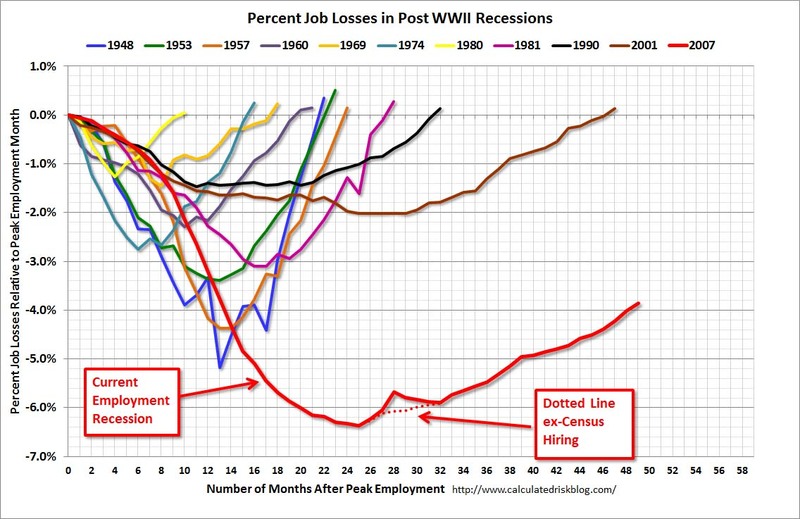 And unemployment, while still painfully high, has fallen a full two points from its peak. Bitter experience might suggest that we regard these numbers with a jaundiced eye. But there are at least a couple of reasons to think that, this time, we aren’t looking at a false spring." CJ's take: I really have no idea what's going on out there. If I had a guess, it would be that we kept being told in 2009 that job growth was a lagging indicator of the economy (6 months slow is the round number that I remember.) If the current economy is being slowed down by trouble in Europe and the relatively high price of oil, it makes sense that we're going to see this reflected in the jobs numbers in September or so. Hopefully I'm wrong. [Fred J.] Fleitz is a synthetic organic chemist who earned a Ph.D. at Stanford University under Barry Trost. After graduating in 1996, Fleitz joined Merck & Co.’s process research group in Rahway, N.J., where he was schooled in industrial process chemistry by some of the most experienced chemists in the business. Joining Merck in what were still the drug industry’s golden years, Fleitz expected to spend most of his career there. But the realities of patent expirations and Wall Street expectations soon intruded. Merck acquired Schering-Plough in 2009. In the summer of 2010, Fleitz, like many Merck scientists, was let go. During his search for a new job, Fleitz learned about Cambridge Major Laboratories, a pharmaceutical chemical company in Germantown, Wis. While Merck and other big pharma companies were downsizing, Cambridge Major was expanding. It was looking for experienced chemists with the ability to shepherd projects through a new large-scale manufacturing facility. Michael W. Major, the company’s founder, offered Fleitz a job as senior manager for process R&D. Digging into the job early last year, Fleitz and his team had the luxury of an existing synthetic route. The earliest medicinal chemistry synthesis of amitifadine was a multistep process that required a separation of enantiomers at the end. But a team of Merck chemists—coincidentally, colleagues of Fleitz’s when he worked there—had developed an elegant asymmetric synthesis during the period that Merck had the compound (Org. Lett., DOI: 10.1021/ol061650w). In the Merck synthesis, the first reaction step determines enantiomeric excess, so a key goal for Fleitz and his colleagues was to find the right temperature and other conditions to minimize loss of that excess in subsequent reaction steps. They also needed to re-create specifications that Merck may have established but that weren’t in the literature.At the same time, the Cambridge Major chemists were scaling up the process from the glassware synthesis completed by Merck into one that would work in small stainless steel reactors for clinical-trial quantities and then in larger reactors to yield the hundreds, if not thousands, of kilograms that would be needed for commercialization. It’s a task that Cambridge Major is well suited for, according to Fleitz. “We have that ability within the same facility, so the chemist that started the project can follow it all the way through,” he says. Nothing quite like a process chemistry story with a happy ending. Like rain on your wedding day? : ACS has a code of conduct?!? In this week's Chemical and Engineering News, a preview of what's coming before the ACS Council by Sophie Rovner. Did you know that Barry Trost was running for ACS president in 2013? The Committee on Nominations & Elections (N&E) laid the groundwork for the council last fall, when it prepared a slate of nominees for the office of ACS president-elect for 2013. The four nominees are Thomas J. Barton, Distinguished Professor of Liberal Arts & Sciences, Iowa State University, Ames; Luis A. Echegoyen, Robert A. Welch Professor of Chemistry, University of Texas, El Paso; William A. Lester Jr., professor of the graduate school, University of California, Berkeley, and senior faculty scientist, Lawrence Berkeley National Laboratory; and Barry M. Trost, Tamaki Professor, School of Humanities & Sciences, Stanford University. It's time to vote for The Kentucky Colonel, folks. Well, it's aspirational at least. [Dave] Armistead and [Jeff] Saunders’ friendly competition set the tone for Vertex's chemistry program. Working across from each other at the bench and at adjoining hoods, they attacked neighboring sections of the molecule [FK-506]. ...As Vertex began making molecules, almost all its early successes belonged to Armistead, who quickly found a substitute for the sugarlike ring. Marveled Saunders: "It was probably a half hour in Aldrich: 'What's available' What can I buy? What will it do for me?"" Saunders, meanwhile, was becalmed. Nothing he did seemed to work. He was running as many reactions as Armistead but couldn't make the molecules he wanted. In almost a year of 12-hour days -- of coming in on weekend when only he, Thomson, Yamashita and Murcko were routinely in the labs, he submitted only 4 new compounds. None of them were successful. "It bothered me a lot," he recalled, "not only because of the image it was presenting, but I wasn’t producing... It was annoying, and it got to be frustrating and embarrassing. It threw me off the pace. After six or seven months, I got so caught up with it that I was ready to drop it, but Boger said, 'No, don't drop this. This is worth doing.'" Armistead also defended Saunders. They shared ideas, hung out together after work, drank, got into noisy arguments. In the lab, they razzed each other like mechanics at adjacent bays. But Armistead was no solace; he was cruising. In the company's formative days, he was establishing himself as one of its leaders... Saunders reacted painfully. "Dave's one of the best chemists I've known," he said. "Not the smartest. Not the best read. Not the easiest to get along with. But as far as being productive, there's no question. Unfortunately, I'm compared to him." To be stuck in this kind of rivalry, where both workers are both experienced, competitive and used to success in the lab must have been painful. That Saunders was friendly with Armistead (who are still with us and still in pharma) must have been even more bittersweet to Saunders. I think most of us in our research careers have been in a similar situation or have had a similar dry spell. They can really stink. It speaks well of the young Saunders that he never resorted to any of the common outlets for lab frustration: rage, alcohol or both. (The book is revealing enough that it probably would have been reported.) While understanding coworkers and patient management can soothe the pain a little, in the end, we all know that only getting in the lab and working on the problem will pull us through our problems.